In the new version of Windows 10, Microsoft introduced a new feature called Reserved Storage. As you can tell from the feature name itself, Reserved Storage puts aside some amount of space so that it can be used by the system to update and upgrade your system. Additionally, the reserved storage is also used for temporary files, system apps, and system cache. The main intention of the reserved storage feature is to avoid "your disk is full" or "low disk space" notifications while updating or upgrading Windows or other system files and apps. If you don't like this behavior, you can disable reserved storage on Windows 10. In general, Windows puts aside around 7GB of your C drive space as reserved storage. However, depending on your usage, Windows may choose to increase the reserved storage space. Two of the major components that affect the size of reserved storage on Windows 10 are optional features and installed languages. By default, most of the optional features are disabled. When needed, you can enable the optional feature you want from the control panel or settings app. 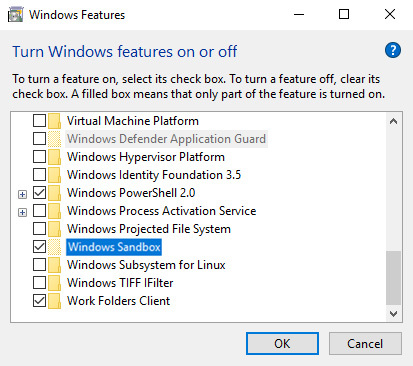 For instance, Windows Sandbox and Linux Subsystem for Windows are optional features and should be manually enabled to make use of them. Depending on how many optional features you've enabled, Windows may increase the reserved storage space accordingly to properly maintain and update those additional and optional features. The same is applicable to the installed languages on your system. The more languages you install on your system the more space is added to the reserved storage to manage and update those language-specific files. 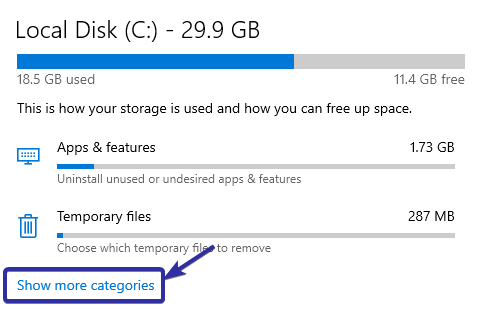 To find how much space is reserved on your system, open the Settings app and go to "System -> Storage". On the right panel find and click on the "Show more categories" link. Now, click on the "System and Reserved" option. You will see how much space is being set aside as reserved storage under the "Reserved Storage" section. Reserved storage feature is only available in Windows 10 build 18312 or higher and on version 1903 or higher. 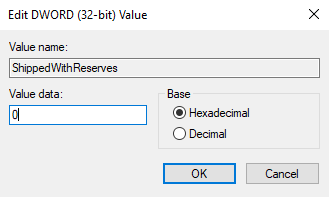 To disable reserved storage, you need to make a simple change to a registry value. So, backup registry and follow the below instructions and you should be good. In the editor, go to the following location. You can simply copy and paste the below path in the registry address bar. On the right-panel, find and double-click on the "ShippedWithReserves" value. Change value data to "0". Enabling reserved storage is as easy as disabling it. Just follow the same steps above but change the value data back to "1" in step 5. That is all. 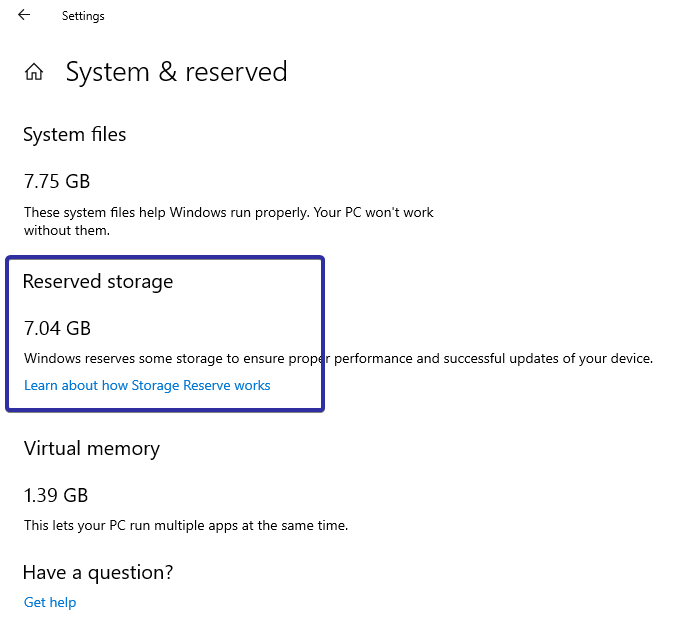 Restart your system and the reserved storage should be enabled on your Windows 10 machine. If you are looking for other ways to free up space on Windows 10 then follow the below tips.